Guarana (Paullinia cupana) is an herb native to the Amazon rain forest. 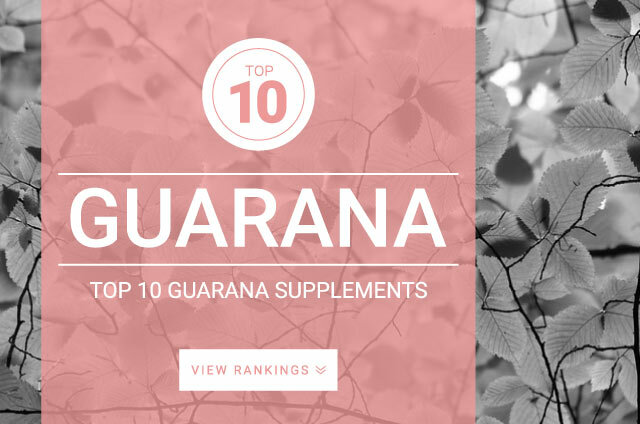 Guarana is traditionally supplemented for its medicinal properties. Guarana contains theobromine and theophylline alkaloids which provide immune system benefits, treatment for headaches, arthritis, diarrhea, and improve energy, stamina and endurance. Guarana extracts were once used by Amazonian tribesmen as an herbal tonic for its stimulating and aphrodisiac properties. Recently Guarana has been shown to help promote weight loss (similar to caffeine), replenish energy, increase stamina, improve cognitive performance as well as helping to protect against DNA damage. Today, Guarana supplements are commonly used for the many health benefits described and more, including reducing pain, treating migraine headaches, fighting fatigue, enhancing sports performance, improving mental function, and providing antibacterial and anti-fungal benefits. For centuries, Guarana was supplemented by the Satere-Maue Indians, natives of the amazon region, as a stimulant to improve the nervous system during times of stress, medication for stomach related issues such as diarrhea, and as an anti poison. The standard dose recommended for Guaraná is 50 mg – 75 mg taken once daily. Depending on your caffeine tolerance or desired caffeine concentration your individual needs may be different. Its best to follow supplement label instructions for best results.